As the season of the first plucking is over, I would like to share my review on 2017 teas from the South West of Yunnan, such as Lincang, Bao Shan, Jing Gu, Chang Ning and Da Li area. 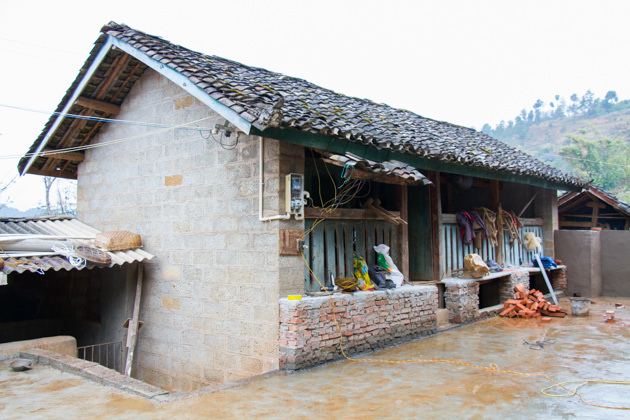 Usually, the most critical factor that affects the quality of tea is weather. Since the day I came to Yunnan on 21st of March, I have been recording the weather and closely monitoring the tea quality accordingly. 14th of April〜　：Rain after Rain…….. Since the end of last year, it has been very dry weather in Yunnan. This unusual weather was not only taken place in Yunnan, but also happened in many other places in China and even Taiwan too. 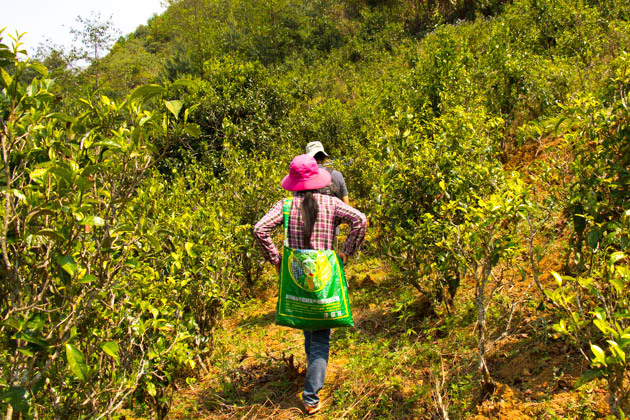 Due to extremely little rain and continuous drought, the tea season delayed about 2-3 weeks. 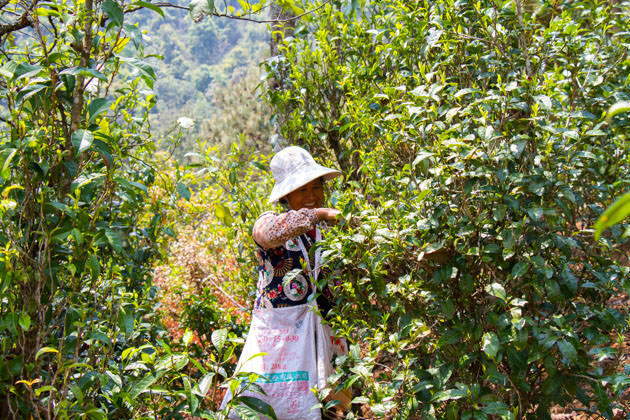 In normal year, starting from 25th of March, farmers in Lincang region start plucking tea. This year, we waited till April and we could hardly see the tea budding at the ideal garden. Those teas available before Qing Ming (清明) i.e., 4th of April, were collected from low elevation, very young tea tree or fertilized tea garden. 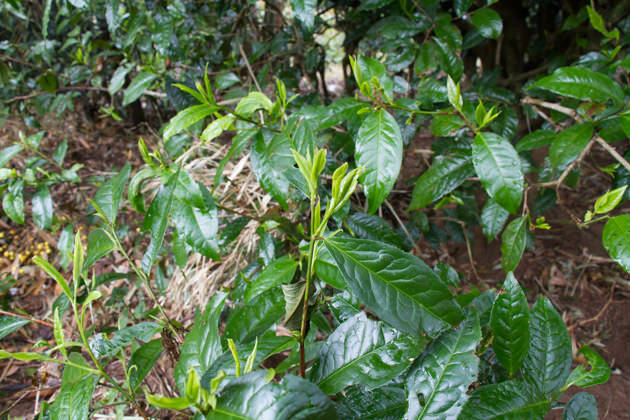 Those teas from higher elevation, old tea tree and the naturally-farmed garden without fertilizer remained in very small bud; some trees were still dormant. 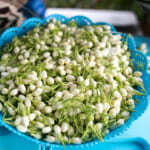 As a result, tea plucked before April was not of good quality. 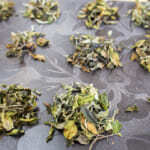 Eventually we did not collect any tea before April, except Wild Tea that plucking season is always earlier than other tea. Those young tea trees were available for plucking in early season. The rain started from 1st of April and continued for a whole week. The temperature dropped drastically and it was very cold. I had to wear the fleece jacket and run the heater when I stayed in the hotel room. Nevertheless, the rain at this timing was good news since tea trees had been suffered from drought for a long time. 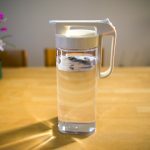 We assumed that it makes tea in excellent quality once the weather is sunny and temperature raise. The rain continued until 6th of April. 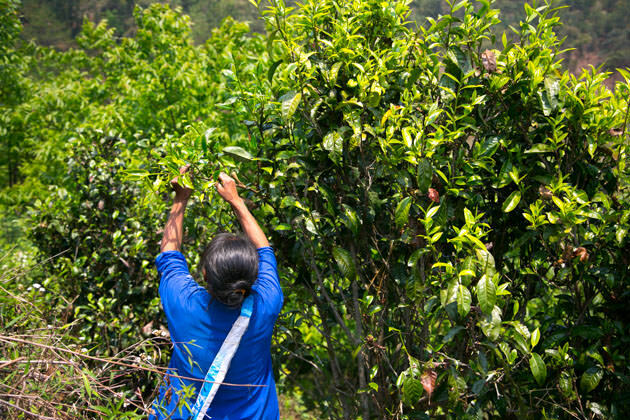 From 7th of April, we noticed a lot of farmers effectively started tea plucking. We did not collect tea until the 9th of April. The reason is the quality of tea just after the rain is not ideal. Tea contains too high moisture and taste become thin and flavor is lighter. 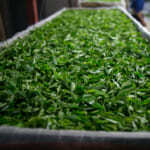 Those tea manufacturers who are very strict in quality will wait for two days after the rain to resume the tea plucking. Unfortunately, the sunny weather only continues for a week. Despite people were so desperately waiting for the tea, the rain started again from 14th and continue. It was raining almost every day except certain places were sunny or cloudy on 23rd to 25th of April. Eventually raining continues until the end of April. Obviously farmers and tea manufacturers were panic due to extremely low output. 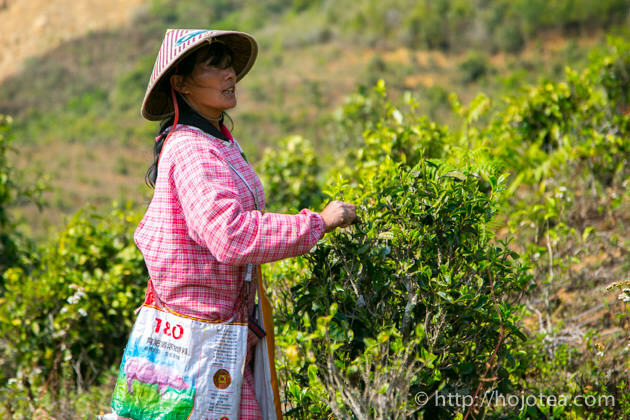 In Lincang, the production of tea is about 40-60% lower than regular year. 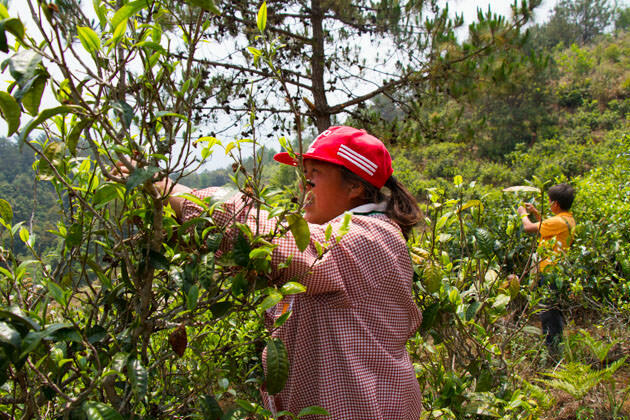 In particular, teas from higher elevation, old tea tree and the naturally-farmed garden without fertilizer produce only 30-40% of output compared to regular year. 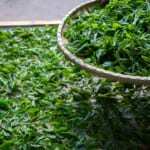 Due to extremely low output, the price of fresh tea leaf increases about 30-40%. For popular garden, the price increased 50% or even more. 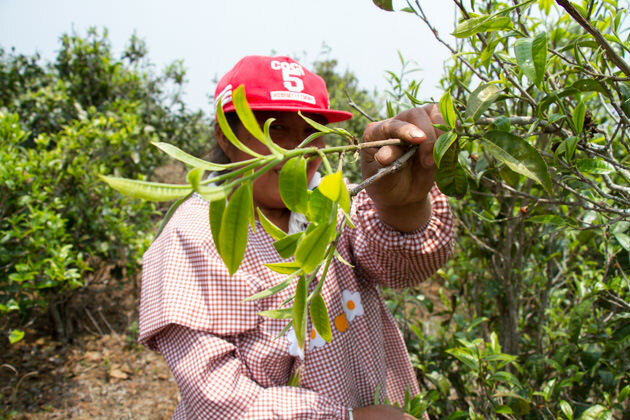 Due to the prolonged drought, the tea trees took much longer time to grow. 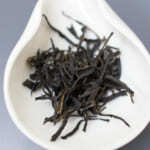 I noticed that the quality of tea produced in the particular one week of sunny weather was extraordinarily outstanding. 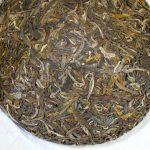 Most of the skilled and experienced tea masters generally realized that teas produced in this golden one week was the best quality in a past decade or even two decades. 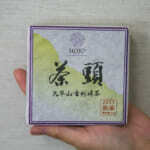 However, the good quality teas were only produced in a short period, i.e., from 9th until 13th of April. Any teas produced earlier or later are not satisfactory due to too much rain and cloudy weather. 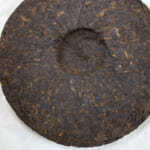 We purchased all pu-erh teas right from the golden week except for the wild tea that are usually grown earlier. As the weather in the latter half of April was unexpectedly bad, those well-processed teas produced in the particular golden week were extremely limited and were in high demand. They were sold out even before out from the manufacturing site in the rural village. In 2017, some people may comment that the quality is outstanding, yet some people may comment that the quality is not very good. It is all depending on the timing and the sourcing ability of each company.